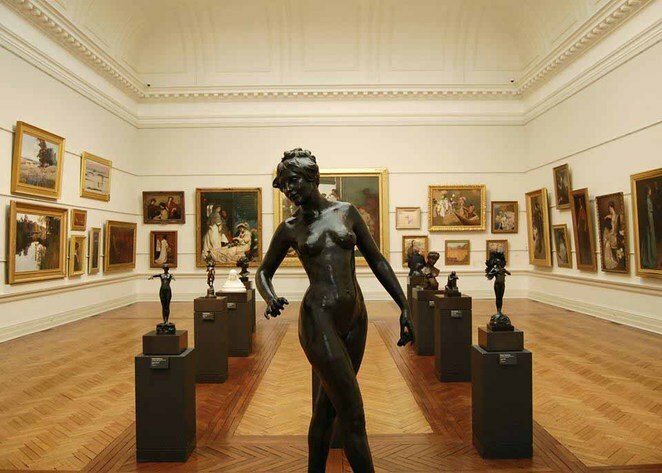 Established in 1871, the Art Gallery of New South Wales is one of the most charming art museums in the world and with over one million visitors annually, it is no wonder that the Gallery is one of the finest and leading art museums in Australia! 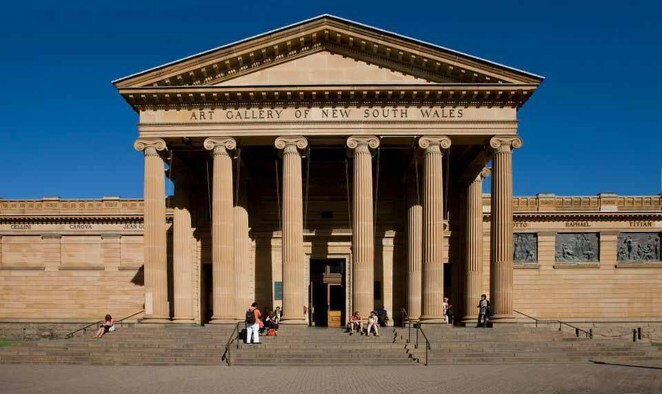 The Art Gallery of New South Wales is located in The Domain within the stunning parklands, overlooking Sydney Harbour and only fifteen minutes walk from the centre of Sydney CBD. The Gallery is one of the most important and largest public galleries in Australia and showcases spectacular collections of permanent Australian, Aboriginal, European, Asian and contemporary art as well as special exhibitions and events. Wander through the richness and sheer pleasure of art as you discover artworks, enrich your understanding and explore new experiences. Be inspired by the spectacular collections, exhibitions, permanent galleries and changing temporary exhibitions as well as annual exhibitions. There is a range of modern and contemporary works displayed in expansive, light-filled spaces, with offerings of stunning views of Sydney and the stunning harbour. 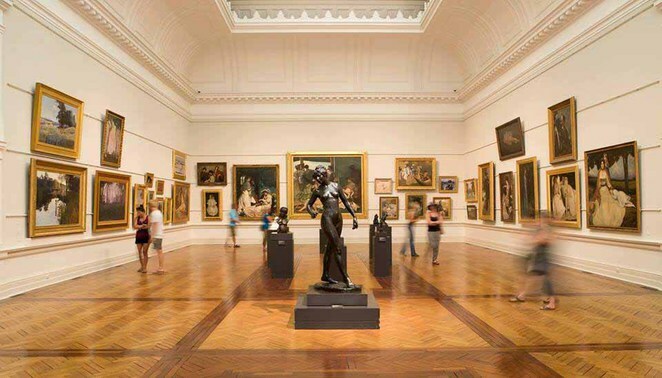 The spectacular Grand Courts are home to a distinguished collection of colonial and 19th-century Australian works, European old masters, dedicated galleries celebrating Asian art and Aboriginal and Torres Strait Islander art. The Australian art exhibit features art from settlement to contemporary, with displays of many well-known and loved works. The 20th-century gallery presents exceptional sculptures, photographs and works on paper as well as paintings, along with a group of Pukumani grave posts, foundational to the Aboriginal art collections, which are exhibited with bark paintings. There is a splendid new sculptural intervention, a larger-than-life, polished steel figure of Captain Cook that sits in front of a view across Sydney Harbour. The Grand Courts feature the superb collection of 19th-century paintings and sculpture. The Aboriginal and Torres Strait Islander Gallery, also known as the Yiribana Gallery, features a selection of works from the Aboriginal and Torres Strait Islander collection, representing artists from communities across Australia. It celebrates Indigenous Australia's enduring cultural heritage and its myriad contemporary expressions. It is also home to the Yirubana Project Space which exhibits a range of changing exhibitions. The Asian Gallery is dedicated to Asian art and was opened in 2003. It spreads over two floors and displays some of the finest moments in art in the rich history of Asia. The upper level is housed within the glass pavilion and is inspired by the floating lanterns found throughout Asia. The lower gallery features a fully operational Japanese Tearoom. Within the magnificent Grand Courts, you will discover the European Galleries where you find key names in the art history. 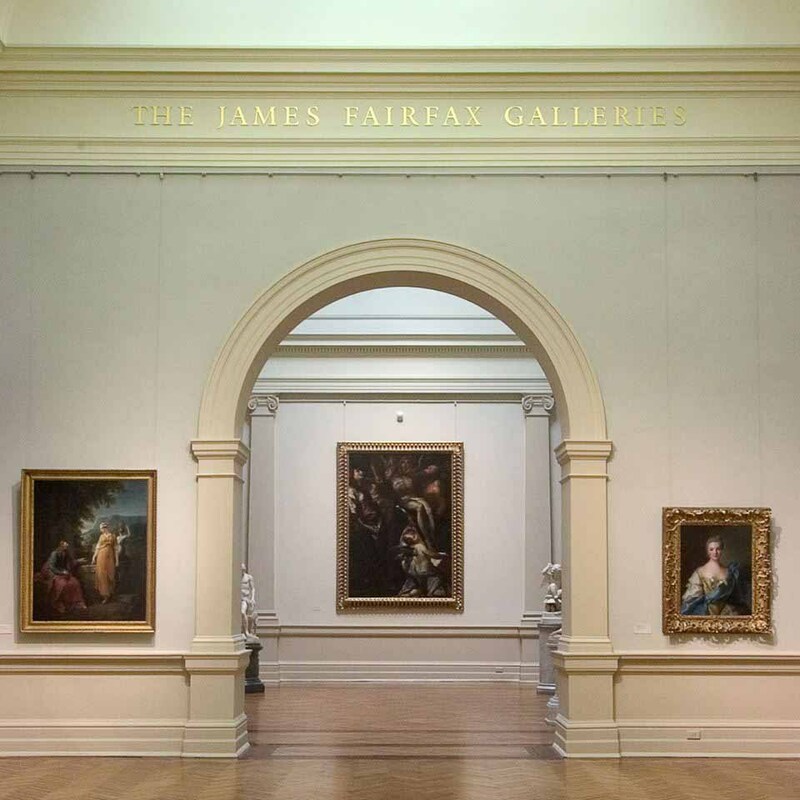 The gallery features 19th and 20th-century European art, including a special presentation of figurative paintings by Pablo Picasso, Frances Bacon, Lucian Freud and Chaim Soutine on loan from the Lewis Collection. The European exhibit also features works including ones by Vincent van Gogh, Ernst Ludwig Kirchner and Alberto Giacometti. There is also fine examples of Victorian and Edwardian art, including a selection of sculpture and many works dating from the earliest days of the Gallery, which also includes the first European painting to enter the collection, Ford Madox Brown's stunning Chaucer at the court of Edward III 1847-51. Dutch, French and Italian painters from 17th and 18th centuries are on display too. Wander down the marble staircase and you will be welcomed to the magnificent display of 18th-century European porcelain from the Kenneth Reed Collection. The Modern Gallery displays a changing selection of artworks from rich holdings of modern paintings, prints, drawings and photographs, as well as at times in dialogue with other works. The Photography Gallery displays a 4,500 strong collection of photographs. The collection covers from the inception of the medium in the 19th century until now. Each year, three exhibitions open in the Gallery and focus on Australian and international photography, which represent the work of individual artists and groups of artists, as well as exploring themes and specific periods in photographic history. There are guided tours available at the Gallery which include tours in languages other than English, tours for tots, touch tour for the vision impaired and kids tours. There are many other activities to enjoy at the museum. The gallery offers lectures and symposia, films, music and performances. There is a café on site as well as a Gallery Shop. The Art Gallery of NSW is not just for art enthusiasts, it is a perfect point of interest attraction to explore, admire, wander, experience and discover rich history through art. A great place indeed; it inspires on every visit.